with the Minnesota Orchestra in the fall of 2007, Rumba Sinfónica has been performed two dozen times by Jorge Gómez’s band Tiempo Libre and different professional, college, and youth orchestras across the U.S. and Canada. 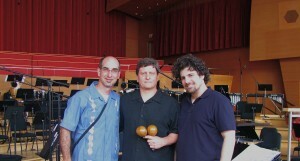 For the 2010-2011 season, Rumba Sinfónica traveled over the Atlantic Ocean and over the Mediterranean and Caribbean seas to receive premieres in Israel and Venezuela. On November 3, 2011, two-time Grammy nominated Tiempo Libre performed the work with the Jerusalem Symphony Orchestra at this city’s world-renown Henry Crown Concert Hall. In what Lorenz describes as “a new phase in the life of the work,” Rumba Sinfónica was performed for the first time by a band other than Tiempo Libre this past June 2011 in Venezuela. A group made up of some of the best musician from the country’s salsa scene performed the work with the Orquesta Sinfónica Municipal de Caracas (OSMC) conducted by Rodolfo Saglimbeni. The high caliber pick up band was lead by veteran timbal player Frank Márquez and included Guajeo’s singer Edgar “Dolor” Quijada, pianist José Martínez, and trumpet player Marino Zambrano, among others. “I wanted Jorge Gómez, who was instrumental in this collaboration, to be present and performing on stage at the South American premiere of Rumba Sinfónica,” said Lorenz, who went on to explain that the current political and economic climate of the country made it impossible to bring Cuban-born Gómez to Venezuela for this occasion. After the Caracas’ premiere, however, Lorenz felt that it was a source of great pride to experience the work performed with such ease by a homegrown ensemble. “These fantastic Venezuelan musicians were totally committed to the project and seemed to understand its musical significance as though they were co-owners,” said Lorenz, asserting that it made him confirm what he has always believed. 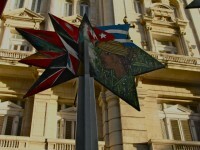 As he put it, “musically speaking, Cuba and Venezuela are almost like siblings.” Perhaps this is one of the reasons that motivated OSMC Musical Director Rodolfo Saglimbeni to include Rumba Sinfónica in several upcoming programs of their 2011-2012 season. 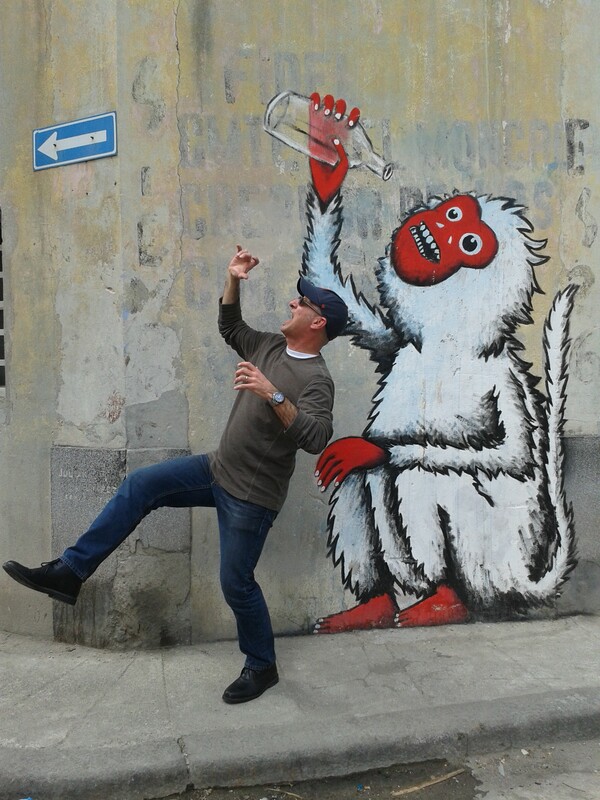 Read about Lorenz’s Canciones de Jara on the Discovery Channel’s Blog. 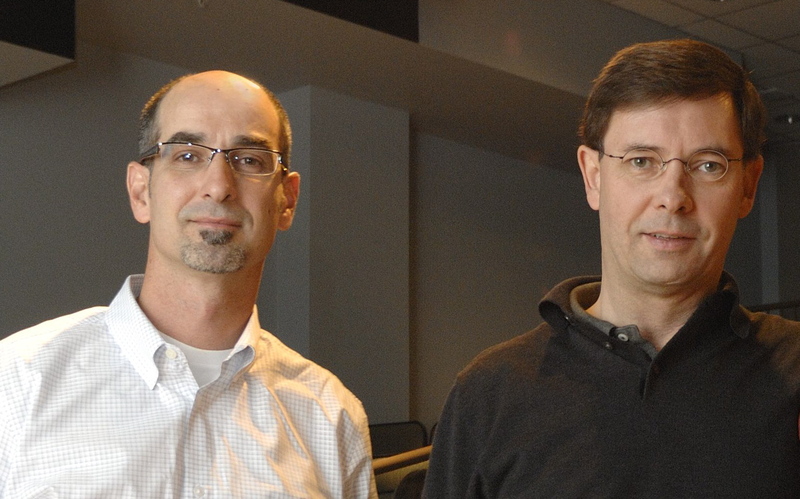 Read more about the premiere on the Michigan State News website. Listen to Ricardo Lorenz talk about Canciones de Jara with Spartan Podcast host Russ White. On October 22, 2010 Violist Roberto Díaz premiered Ricardo Lorenz’s Canciones de Jara: Concerto for Viola and Orchestra with the Michigan State University Symphony Orchestra under the baton of Leon Gregorian at the Wharton Center for Performing Arts. 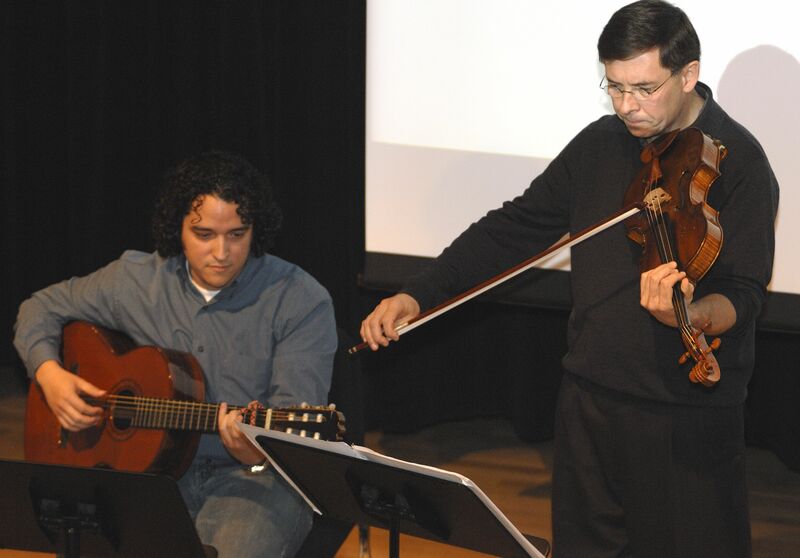 After consecutive tenures as Principal Violist with the Philadelphia Orchestra and the National Symphony Orchestra, Roberto Díaz currently heads the Curtis Institute of Music and performs extensively as a soloist worldwide. Canciones de Jara bridges the old concerto model and the more recent genre of the so-called protest song. 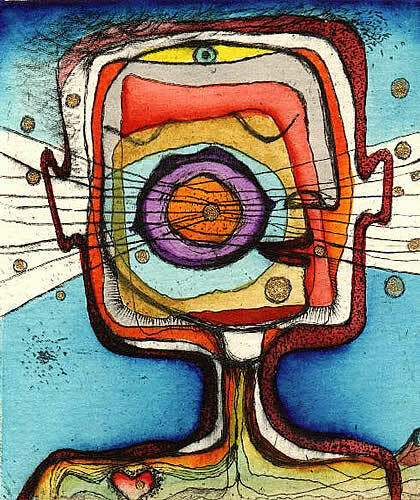 Lorenz’s intention was to merge the extraordinarily expressive range of violists Roberto Díaz and the lyrical, as well as narrative, content found in the songs by Chilean singer/songwriter Victor Jara (1932-1973). Without resorting to direct referencing (except for the Epilogue), the solo part conveys a wide range of moods embedded in Jara’s lyrics, melodies, and chord progressions. It is almost as thought the viola impersonates the singer/songwriter as he navigates through the dramatic socio-political events that fueled his songs. Sometimes with countertenor-like sweetness and other times with frightening baritone depth, Canciones de Jara captures widely contrasting emotions, whether it is the sad beauty of I Remember Amanda, the melodramatic condemnation present in Questions on behalf of Puerto Montt, the prophetic optimism of I Will Remain Here, or the elegiac stoicism of Song of the Miner. I heard the songs of Victor Jara for the first time when I was twelve. They were playing on my sister’s turntable along with songs by household names like Bob Dylan and Leonard Cohen. I remember vividly Jara’s Te Recuerdo Amanda (I Remember Amanda) or his rendition of Viglieti’s A Desalambrar (Cut the Bard Wire). Above all else, it was his voice and dramatic delivery style that made a lasting impression on me. This was in 1973, during the months following the military coup that swept Chile and sank the country into one of the most repressive regimes of the 20th century. Like my sister and I in Venezuela, many around the world followed in disbelieve the unfolding of this horrible period. Victor Jara was among the many hundreds of Chileans murdered by the military junta during the onset of the repression. But unlike many families of these victims who were told that their loved ones had simply disappeared (and were never seen or heard of again), Victor Jara’s widow was able to burry her husband. It was his popularity that made it impossible for a clerk working at the makeshift morgue not to recognize him even after his handsome features, often watched on TV, were badly disfigured. Sadly, it was this same popularity that made it desirable for the military regime to make a macabre example of Victor Jara in order to instill fear upon any one voicing opposition. Victor Jara was big already before his tragic death, both as a singer/songwriter of socially and politically driven songs as well as a theatre director with many international appearances. But the fact that he became one of the first casualties of Chile’s military regime made Jara the quintessential protest singer. A false rumor about his hands being amputated in front of a crowd after being forced to play his guitar spread quickly across the Globe, further elevating his status to that of a folk hero. While living in Chicago in the late 1990s, I became better acquainted with the music of Victor Jara after arranging several of his songs for Macondo Stew, a Latin-fusion band I had with Chilean singer Claudia Pérez. It was towards the end of my time with Macondo Stew that Roberto Díaz, then principal violist with the Philadelphia Orchestra, asked me to compose a concerto for him. After familiarizing myself with the intense and uniquely nuanced sound violist Roberto Díaz delivers, and with Jara’s songs fresh in my head at that time, I knew I had found a meaningful match in a new concerto for viola inspired by Victor Jara’s songs. An invitation by MSU Symphony Director Leon Gregorian; a Grant from Michigan State University’s Office of the Vice-President for Research; and a MacDowell Colony Fellowship gave me the incentive and allowed me to compose the work. 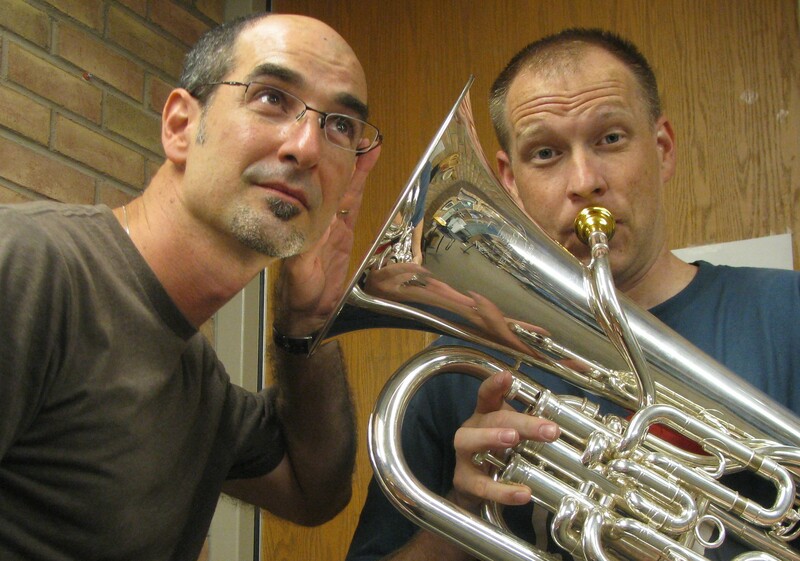 An international group of euphonium players and music institutions has joined forces to commission a work from Ricardo Lorenz that will feature the euphonium while calling for the same instrumentation of Leos Janacek’s seldom performed Cappricio for piano and winds. The consortium is spearheaded by Robert Benton, currently on the University of Windsor Brass Faculty and hailed for being “a compelling performer and outstanding Embassador for the euphonium.” Other distinguished euphonium players joining the commissioning consortium who will co-premiere Lorenz’s upcoming work are Hidenori Arai (Japan) , Tormod Flaten (Grieg Academy in Norway), Adam Frey (Emory University), Fritz Kaenzig (University of Michigan), Ken Kroesche (Oakland University), Jamie Lipton (Henderson University), Cale Self (Western Georgia University), Pat Stuckemeyer (www.justforbrass.com), and Matt Van Emmerick (Sydney Conservatorium). In addition, the Royal Northern College of Music (U.K.), Easter Michigan University and Michigan State University are also part of the consortium. The upcoming co-premieres are scheduled to take place during the 2010-11 and 2011-12 seasons. “I’ve come to appreciate the immense expressive power and unique agility of the euphonium through my acquaintance with Robert,” says Lorenz who wants to write a work that, among other things, “exploits the contrast that exists between the tongued quality of the trombone, or the percussive quality of the piano, and the unmatched voice-like legato which the euphonium is capable of producing.” Prior to this project, the Venezuelan-born composer was acquainted with the euphonium through some of the coastal music of neighboring Colombia, where the close cousin of the euphonium, the so-called Bombardino, is featured predominantly in traditional ensembles. Perhaps some of this unique sound, still ringing in the composer’s mind, will make it into the newly commissioned piece. 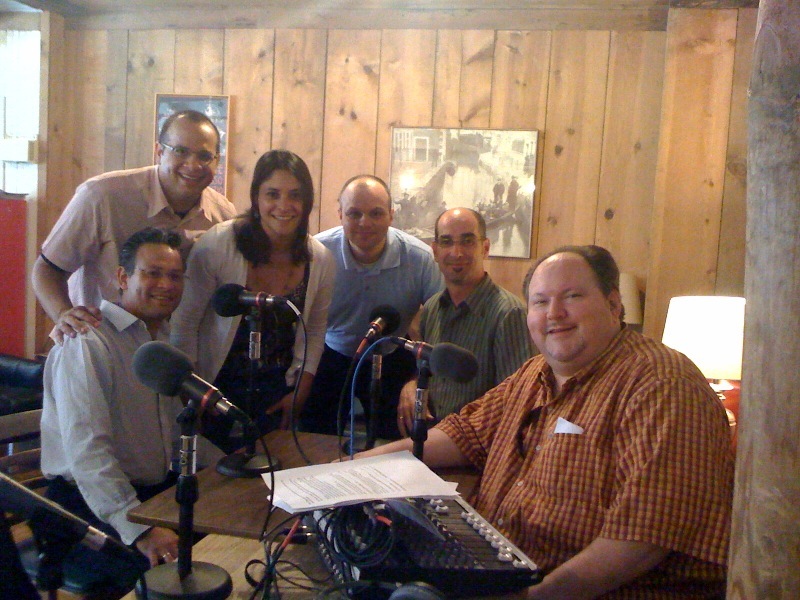 Right to Left: "Live from the Mill" host Bill Stibor with Lorenz and members of the Dali String Quartet. As part of their 2010 Meadowlark Music Festival engagement, Guest Composer Ricardo Lorenz and the Dali String Quartet appeared as featured artists of “Live from the Mill,” a laidback yet incredibly informative art news show that is broadcasted live from The Mill, a landmark café in downtown Lincoln, Nebraska. “Live from the Mill” is hosted by Bill Stibor every Friday morning and is heard throughout Nebraska on KUCV Net Radio 91.1 FM, an affiliate of NPRN. Lorenz, Harrison and CYSO Musical Director Allen Tinkham following the dress rehearsal of Pataruco. 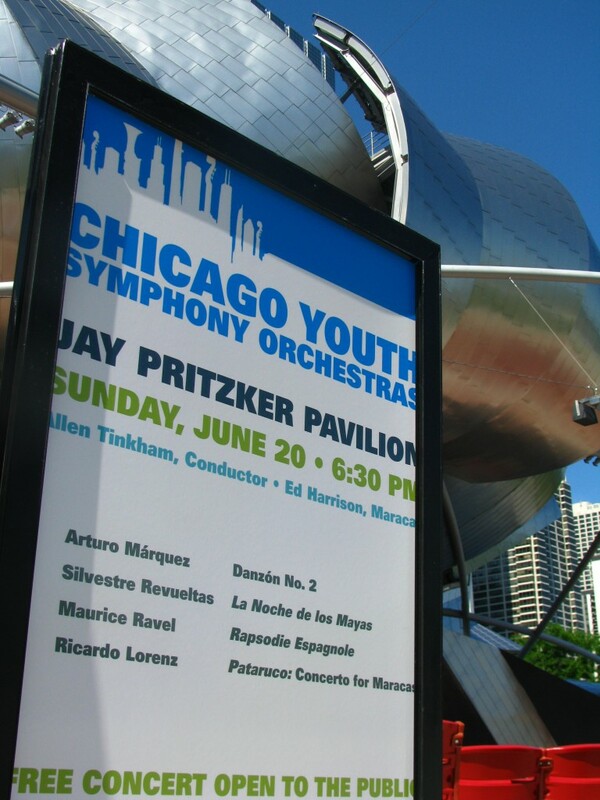 To conclude a year of performances in celebration of the 10th anniversary of Lorenz’s Pataruco: Concerto for Venezuelan Maracas and Orchestra, the Chicago Youth Symphony Orchestra and soloist Ed Harrison performed the work at the Jay Pritzker Pavilion of Chicago’s Millennium Park. During the 2009-2010 season, the work received performances in Nevada, Oregon and in Mexico by percussionists Ricardo Gallardo and Terry Longshore. 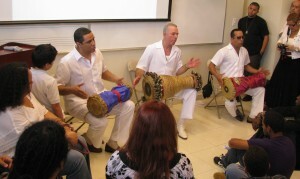 Pataruco was the result of a close collaboration between Venezuela-native Ricardo Lorenz and Ed Harrison, who studied with maraca virtuoso Maximo B. Teppa while on tenure as percussionist with the Caracas Philharmonic during the early 1980s. Harrison, current principal timpanist of the Lyric Opera of Chicago, premiered the work with the Chicago Sinfonietta in 1999 and recorded it with the Czech National Symphony a year later for Albany Records. Pataruco has also received performances by Venezuelan maraca player and Atlanta Symphony bass clarinetist Alcides Rodriguez.